What Do You Do When Your Lead Singer Quits? 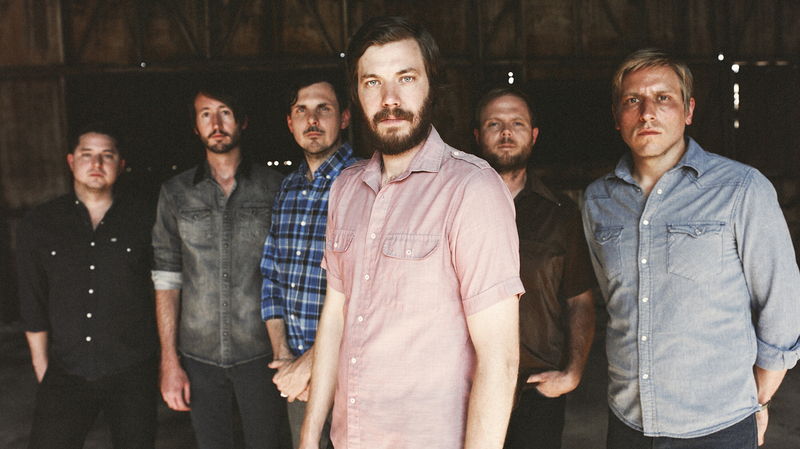 NPR's Scott Simon speaks with Eric Pulido from the Denton, Texas, band Midlake. The group, formed in 1999 by jazz students from the University of North Texas, has rebooted — after the departure of lead singer Tim Smith — for a new album called Antiphon. Midlake's new album, Antiphon, is out Nov. 5. In 1999, a group of jazz students from Denton, Texas, got together to play a kind of music that seemed pretty far from jazz. Rolling Stone called Midlake's music "foreboding psychedelic rock," which doesn't sound like a popular genre — but the band's song "Roscoe" made it into the magazine's top 100 tracks of the 2000s. The lead singer and songwriter was Tim Smith. He left the group about a year ago, leaving the other members to either reinvent themselves or quit. Singer and guitarist Eric Pulido tells NPR's Scott Simon there was little question in his mind that the band would continue, but just how they'd pull it off was far less clear — especially since they'd been working on new material with Smith for the past two years. "It wasn't long before we decided that the best thing to do would be to make a clean break and, unfortunately, leave that music behind. But in hindsight, I think it was the best thing to do," Pulido says. "There were some growing pains, I won't lie. Obviously, when your singer-songwriter leaves, there's some transition that takes place. But we bonded together in a way that we had never done before." A six-month writing and recording process followed. Pulido shifted into the lead role — though he says that in the studio, the band found itself tending more toward democracy and spontaneity than ever before, letting improvised jam sessions provide the starting points for what would become polished songs. The result is the new album Antiphon, Greek for "opposite voice." "I had found the word and was turned on to it by its use in a liturgical setting; it's used in both oral and musical environments as a response, a call-and-response style," Pulido explains. "And I thought this album was our response — not only to what had transpired with Tim, but, I think, every band, each album that you make, it's kind of your response musically or lyrically of what's going on with you in your life. In a bigger way, it's kind of the plight of man. It's not about what happens to you, it's how you respond to it that you're defined." Pulido says the members of Midlake quit their day jobs way back in 2006 — not because they were confident they could support themselves making music, but because they felt the reward of working together was worth going all in. "I remember Wayne Coyne from The Flaming Lips once told us — a long time ago, when they graciously had us on tour — he said, 'You know, if I could give you one piece of advice ... .' And we're all waiting with bated breath to hear what Wayne Coyne from The Flaming Lips would send down from heaven and give us this piece of advice. And he says, 'Just stay together.' You know, it was so simple, but it's right," Pulido says. "If it's there, keep going." Antiphon is out Nov. 5. Hear more of Eric Pulido's conversation with Scott Simon at the audio link.